Trump was right all the while! But, the FBI leaders WILL get what’s coming to them. I mean don’t these idiots believe in what the secular world calls…. karma? Still, I’ve never understood why they cover for Hillary’s corruption. She wouldn’t hesitate to throw them under the bus. She expects loyalty but rarely gives it in return. Please prosecute him to the fullest. If you can not trust your law enforcement from the tip who can you trust? Now inspector General Horowitz found “reasonable grounds” for believing there has been a violation of federal criminal law in the FBI’s handling of the Hillary Clinton email investigation. 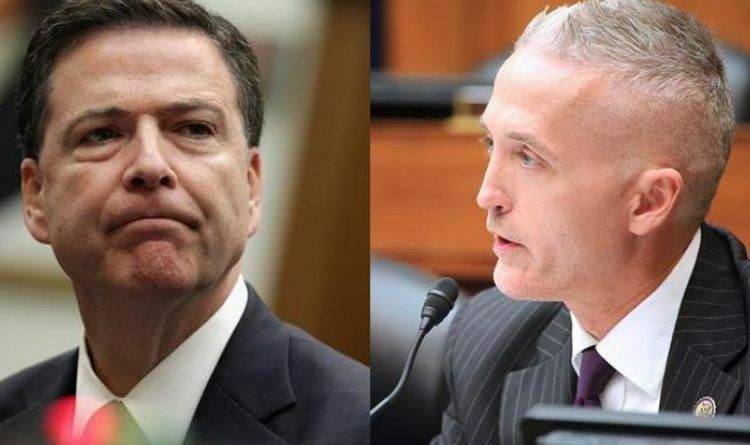 Also as The Hill reported House Republicans are set to interview three witnesses in early June regarding the sham Hillary Clinton email investigation. Bill Priestap, the assistant director of the FBI’s counterintelligence division, and Michael Steinbach, the former head of the FBI’s national security division. Giacalone quit the FBI in protest over how the higher-ups were killing the investigation. Giacalone resigned from the Hillary Clinton case and retired from the FBI because he felt the case was going “sideways”; that’s law enforcement jargon for “nowhere by design. Democrats, of course, have complained that it exists at all since anything that distracts from the endless investigation into how President Donald Trump is really a Russian plant is simply frivolous — particularly if it implicates former FBI Director James Comey, former Secretary of State Hillary Clinton or former President Barack Obama in any wrongdoing.